award winning, planning, design & coordination company serving Greater Seattle and Maui, Hawaii. and booking only ONE EVENT per weekend ensuring top customer service and attention. We are your planning partners and advocates. We want to give you that truly SPECIAL wedding to remember. Since founding the company in 2003, Katy Roberts has made an impression on the wedding community as one of the most professional, stylish, and calming consultants in the industry. From the first impression to the smallest detail, Katy wants each and every event to be beautiful, inviting, and personal to the client. She is known for her superb customer service, meticulous planning, sophisticated style, and for using her background in public relations to both build trust among vendors and put clients and their families at ease. Katy understands that a wedding is a once in a lifetime event that is full of joy, emotion, and sometimes stress. She works hard so her clients can enjoy the planning process and look back on this special time with fond memories. Katy founded VOWS Wedding & Event Planning in 2003, and has since built it into an award winning company that is well respected in the wedding community and well loved by past clients. Katy is a graduate of Gonzaga University. Contact Katy directly by email at katy@vowswedding.com or by phone at (425) 260-8034. Channy has been a valued part of the VOWS team since 2009, showcasing her superb organizational and thorough communication skills, along with her creative flair, true heart, and resourcefulness. She has been instrumental in the design, planning, and coordination of many of the company's top events, including one of her specialties: traditional Chinese wedding celebrations. Channy mirrors VOWS impeccable values and exceptional customer service, making sure that each event is executed flawlessly and most importantly, that her clients are completely satisfied with the results. She is always sensitive to her client's needs and prides herself on being able to implement their ideas, creating an unforgettable experience. 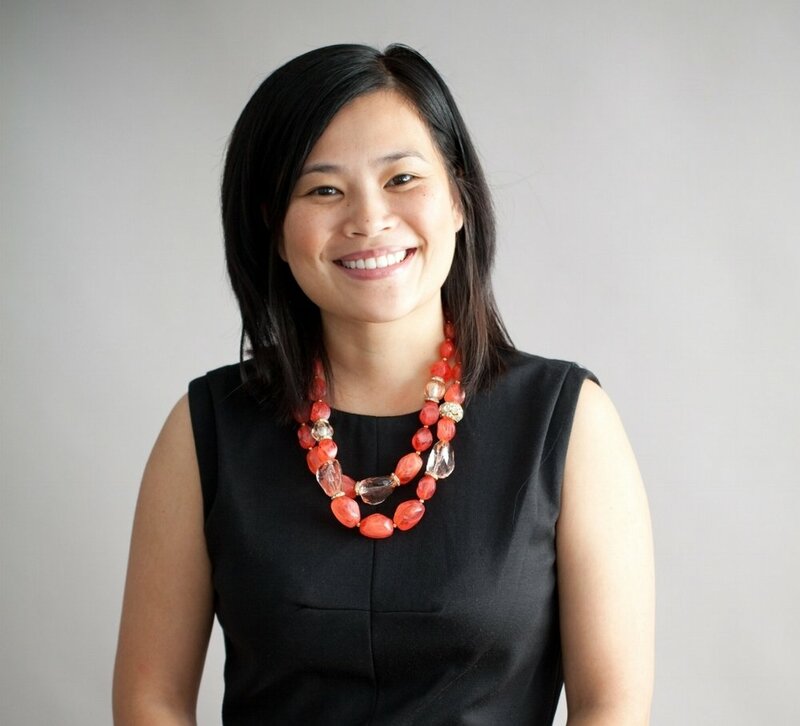 Prior to joining VOWS, Channy worked as a Program and Marketing Manager at Microsoft as well as a consultant to non-profit organizations and Fortune 500 companies. Channy is a graduate of the University of Washington. We met with Channy Sea and a few other planners initially, but were hands down the most impressed with Channy's professionalism, punctuality, and ultimately her ability to listen. While some brides thoroughly enjoy planning their wedding, I found myself overwhelmed with the thought and knew I needed help. We hired Channy to help with everything from day one and she was a gem to work with. One of my requirements in hiring a wedding planner was finding someone that would keep my now husband and I on track, but not overwhelm us with day-to-day details. I was studying for an exam and needed my space, but also knew I had to get things done. Channy was amazing and created a whole timeline checklist up until the wedding day which included rearranging to-dos so that tasks would not interfere with my studying. Throughout the year, Channy handled all communication with vendors and was quick to answer any questions or concerns we had. She negotiated all contracts and kept our budget up to date as the year progressed and as plans changed. When the big day arrived, it was such a relief to not have to think about all the details because I knew Channy was on top of every minute of the day. When we arrived at The Foundry, the place looked perfect, and the whole day progressed smoothly. We even had friends comment on how easy the day was and how nice it was for them to enjoy the wedding and not be tasked with a responsibility for the day. At the end of the night Channy was there to shut down the wedding and make sure all rental equipment was collected and any misplaced belongings were gathered and brought home with someone. We cannot speak highly enough of Channy and VOWS. Thank you Channy for everything!!! VOWS made our life really really simple. Our wedding day turned out to be the best day ever. Every small detail was well taken care of and I didn't even have to lift a finger on my wedding day. They were professional, organized and diligent, and they brought my wedding day vision to life with their very classy taste and ideas. All the vendors suggested were extremely professional and provided the bang for the buck. Overall, if you are looking for a wedding planning vendor who can deliver on time, with great amount of professionalism and provides an excellent value and experience for your money, I highly recommend VOWS Wedding & Event Planning, you definitely cannot go wrong with them. Katy and her team at VOWS absolutely knocked it out of the park with helping us plan our special day. The team is attentive to detail, great at communication and meeting deadlines, and very good with making sure everything gets done to the fullest. They also were both wonderful ladies to work with from a personal level. Planning a wedding, while a wonderful time, can be overwhelming and hard to make decisions; they were supportive and creative to help bring everything together which created the most magical and joyous day! I highly, highly recommend VOWS to any bride and groom! I recently hired Katy to help plan my Maui Destination Wedding at the Olowalu Plantation House... and I am certainly glad I did! As an event planner myself, I know how important hiring a wedding planner is for your own big day. Without Katy there on my wedding day I would have been one seriously stressed out, micro-managing, high strung bride. But I could relax and truly enjoy the entire day because I knew every last detail was being taken care of -- Katy was on it! She is extremely detailed, always thinking 3 steps ahead, ensuring a plan is going to be executed just how you want it to. Katy is also a great resource for planning a Maui Destination Wedding. She has wonderful vendor contacts and referrals, and is really knowledgeable about the Island, Wedding Venues and Group Activities. She was also great about being in contact on-Island, easy to get in touch with, and really seemed "on-call" for the few days leading up to the wedding. Now that Katy lives in Maui it is an even bigger perk to hire her because she provides amazing service, with a quick turn-around. If you are looking for an amazing Maui Wedding Planner, you have found one with Katy!! We had the wedding of our dreams thanks to the expert planning and coordination of VOWS Wedding & Event Planning, specifically Channy Sea who worked so hard to oversee every detail. Channy is extremely organized and proactive, plus she is a delight to work with. I was so impressed that she handled so many things at once as we were on a short timeline, allowing me to relax and enjoy the fun parts of planning a wedding. The day of the wedding was absolute perfection, we had so much fun with literally zero stress. Channy exceeded expectations on every front! She is from the Kirkland/Seattle area & lives on Maui. She is classy,warm and fun to work with. Katy dazzled us with her organization and responsiveness. Once I saw her detailed timeline for the day of the wedding I knew everything was going to be just fine. She went above and beyond to make sure that our wedding day at Olowalu Plantation House ran smoothly. She never looked down upon our desire to review multiple bids and she was able to get us a deal with one vendor that we simply would not have been able to get without her! Katy made it easy for me to visualize by taking a video of the property (which she went out of her way to do on a holiday). She is just that kind of wedding planner who goes the extra mile to make sure her clients are comfortable and enjoying the whole process. We will never forget our wedding day! It was a dream come true and we owe many thanks to Katy Roberts - wedding planner extraordinaire! Everything I’ve envisioned for my wedding day wouldn’t have been possible without the help of my wedding planner, the remarkable—Channy Sea from VOWS Wedding & Event planning. When my husband and I met her at our initial meeting over Starbucks, we immediately felt the connection and knew we had to have her asap! She made us feel very comfortable, listened very carefully to my ideas and also established a trusting relationship that soon turned into a friendship. Her expertise of wedding planning showed thru her examples of other wedding timelines, answering all of our questions, and constantly reassuring us that we would have a stress-free time during the process and on our wedding day. Which she was right because I was able to relax and actually enjoyed the wedding process. Did I mention that she is an absolute SWEET HEART! What is really great about Channy is her communication with you, attention to details and making things happen for the bride (and groom of course!) Channy was there for us a year out from our wedding date and we went straight to planning. Channy picked up where I left off in the planning process and provided suggestions of vendors for our needs. Even when I didn’t approve some of the suggestions she initially provided, she always comes back with another list of vendors. She did a great job in narrowing options to my taste because I was a very indecisive bride. She does very well in staying within our budget when she makes her suggestions and is well connected with many other vendors, which is a major plus in having a planner. She was always there to vent to when problems came up and found solutions right away. She is definitely someone I would recommend to all future brides-to-be. Even if you can’t have her as a planner because of your budget, just make room in your budget for her as she has a great package for “day of wedding” coordination. Either way, you just have to have her be a part of your wedding process.